That’s right, despite all the talk and bluster, the Laser Class is still here and having all sorts of fun. The only question is how we get YOU involved in the fun!? 171 boats at the 2017 Midwinters East in Clearwater. Any other classes get that many boats at their Worlds let alone their Midwinters? 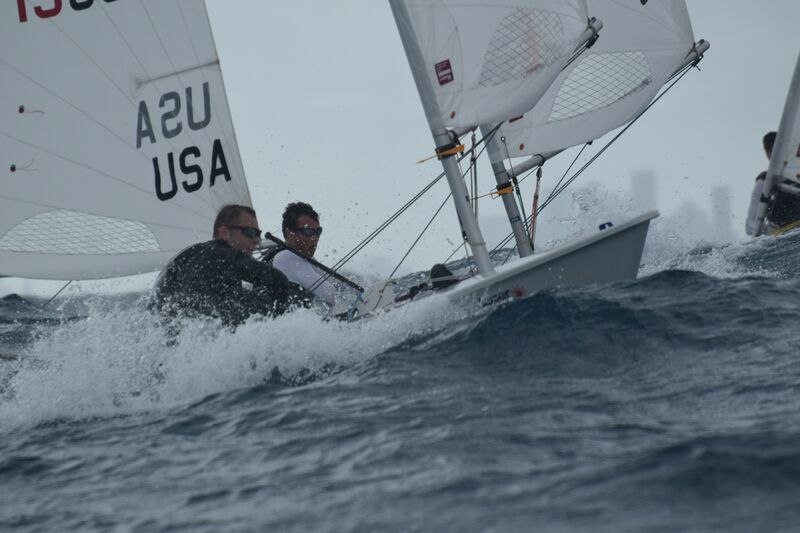 100 boats at the 2017 Laser Florida Masters Week. 90 plus boats at the last (December 2016) Laser District 13 Championships. 3000 bucks…that’s what you can get a “decent” used Laser for. Granted, if you’re trying to win the Worlds, you’re going to spend more, but $3k (maybe even less) can get you a excellent, competitive boat for fleet racing. 15 minutes to rig and be on the water. 1 person, no crew hassles. Just go sailing. Age 12 to 80 plus…those are the ages of folks RACING Lasers. And not just racing, racing competitively. Add up those numbers and here’s the sum…one of the cheapest classes to get in, still a fun boat to sail, and plenty of racing opportunities. Somewhere near you (especially here in Florida), there’s a Laser fleet that wants you to join the fun, no matter your age. There’s been all sorts of publicity recently about “newer, faster, better” single-handed dinghies replacing the Laser. I have no doubt the new designs are good. But they also cost $9,000 or so and they don’t have the long-standing class and racing the Laser does. I have no doubt the foiling boats are fun. The Moth and the Waszp look like a blast. But, they’re also look like a hassle to rig and I’m not sure too many folks have the time to figure out how to sail them. If you’re looking to easily go sailing in big fleets, the Laser Class is happening. Come join us. Oh yeah, one more number-350 boats coming up for the 2017 Master Worlds. You read that right, 350! And the only reason it’s only 350 is because that’s the capped limit for the venue. ← Lotsa Races Coming Up for Summer! Get Sailing!